I never set out to redefine the standards for muscle mass and density over the course of my six-year reign as Mr. Olympia. 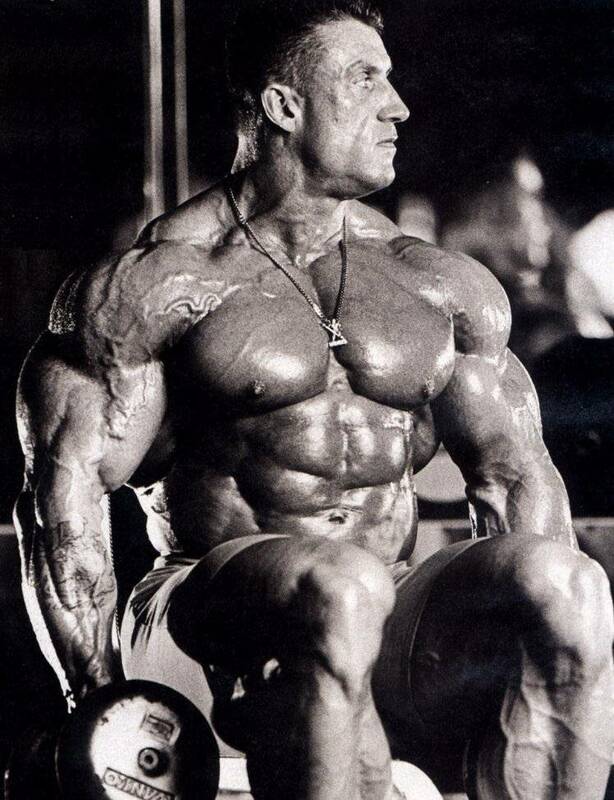 To me, bodybuilding was all about creating the best-developed physique I possibly could, and along the way I suppose I did help to ‘usher in’ a new era in the early to mid-’90s. Prior to that, it was unheard of for bodybuilders to compete at over 250 pounds in peak condition. Just a few short years after I did that at the 1993 Mr. Olympia, the mental barrier had been knocked down and there were no shortage of pros tipping the scales above that previously ‘unattainable’ mark. My training style was unorthodox, borrowing heavily from the influences of men like Arthur Jones and Mike Mentzer and lower in both frequency and volume from what just about every other bodybuilder at the time was doing. But once people saw the results I was achieving, interest in my ‘Blood and Guts’ style grew exponentially. My training video and book of the same name were quite successful, and many thousands of bodybuilders used my methods with success. There was nothing overly radical about the ideas of training briefly with high-intensity and allowing for proper rest and recovery, but most bodybuilders had gotten caught up in the typical ‘more is better’ mentality and it was holding many back from making the mass gains they were truly capable of. This month, I will outline the principles I successfully employed to become the largest Mr. Olympia champion the world had ever seen up to that point in the history of the sport. To maximize mass gains the basic rule of thumb is to take in protein throughout the day at two-hour intervals, and that time-released plan includes the preworkout meal. I generally train in the late morning, and I have a meal replacement powder — high in protein, amino acids and minerals with only a small amount of carbs — about 90 minutes prior to my session. If you plan to eat two hours before training, it’s fine to opt for a balanced meal of chicken breasts (protein), rice or potatoes (starchy carbs) and green vegetables (complex carbs). Immediately after training, I slam down a simple-carb drink to raise insulin levels, force the carbs and amino acids back into the muscle and to restore glycogen levels. This recovery-drink supplement should be 75% simple sugars and 25% quick-to-digest proteins, an ideal postworkout carb-to-protein ratio to spur recovery.